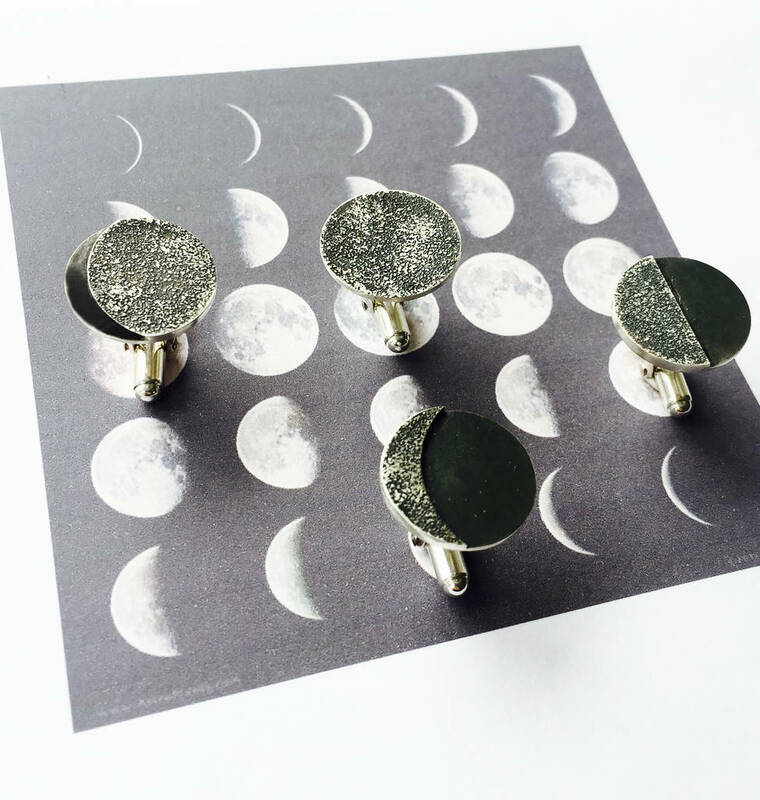 A highly personalised set of sterling silver cufflinks, each one depicting how the moon looked on dates of your choice. There is something rather magical about the moon. This set of cufflinks captures the shimmer of the moon in sterling silver and represents the phase the moon was in on dates special to you. What did the moon look like the day you fell in love? How brightly did it shine on the day a precious baby was born? You can even specify a date in the future to celebrate a special event such as a wedding, anniversary or birthday. 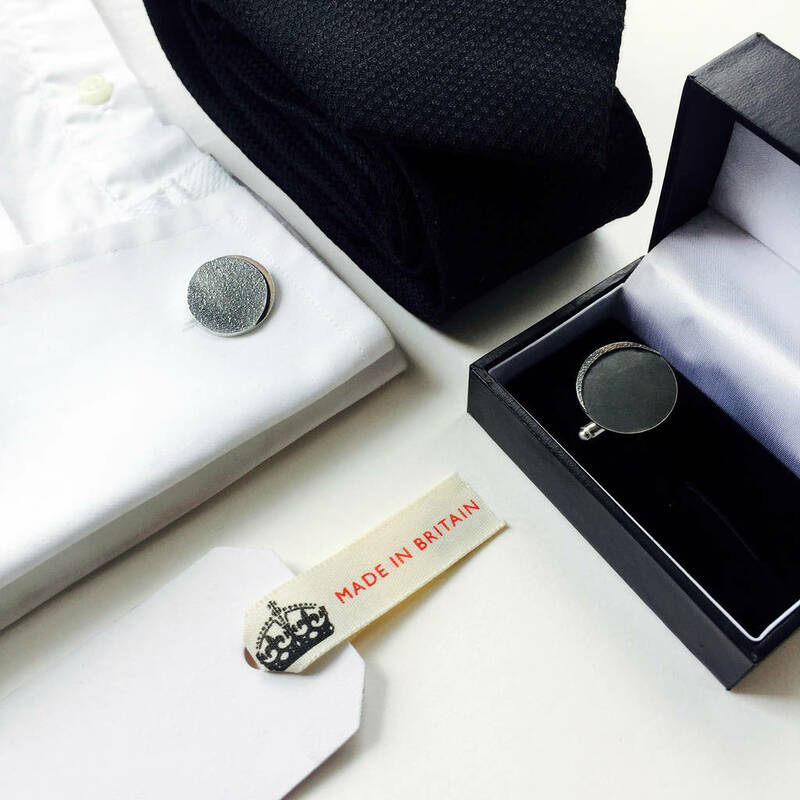 Use the drop down menus to specify your dates and locations and we will hand craft these special personalised moon phase cuff links for you. 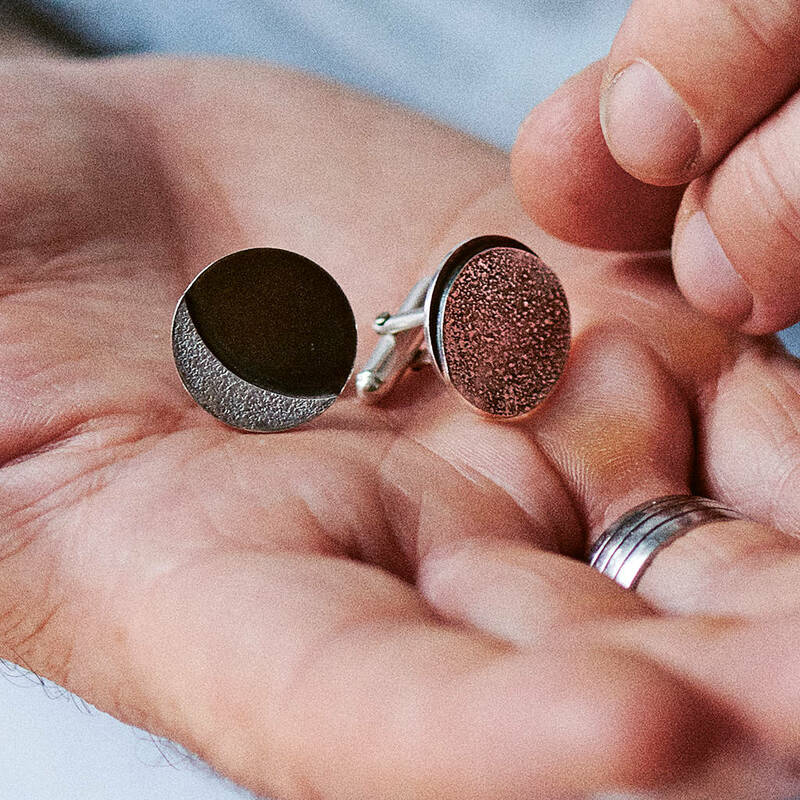 Each moon phase cuff link is patinated to bring out the shadow of the moon and the surface texture of the visible portion of the moon. The texture is rough, like the surface of the moon. 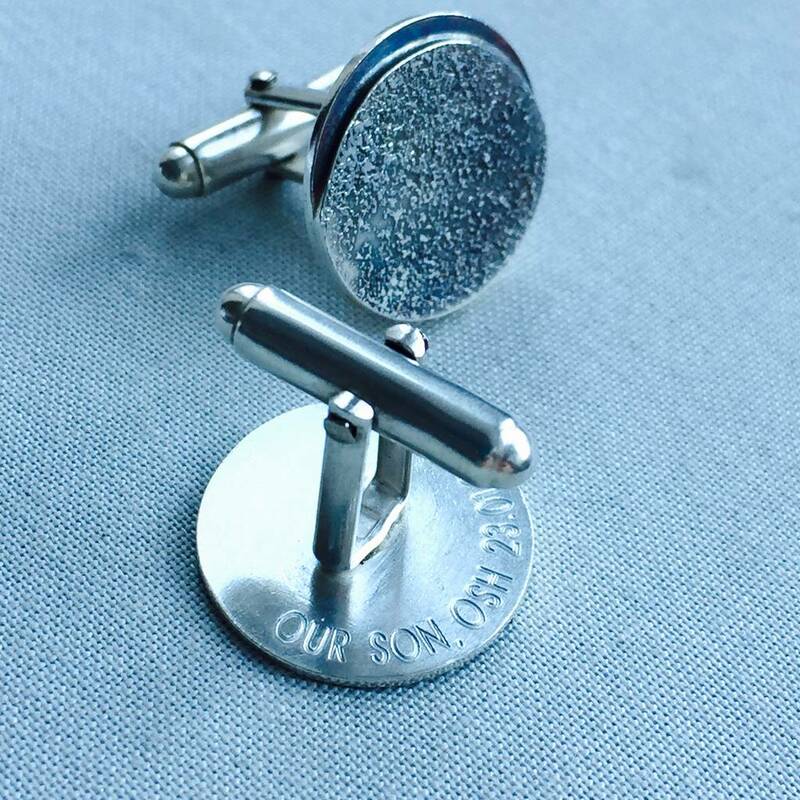 If you want to celebrate just one single date then input this information for both cufflinks and we will make a matching set for you. 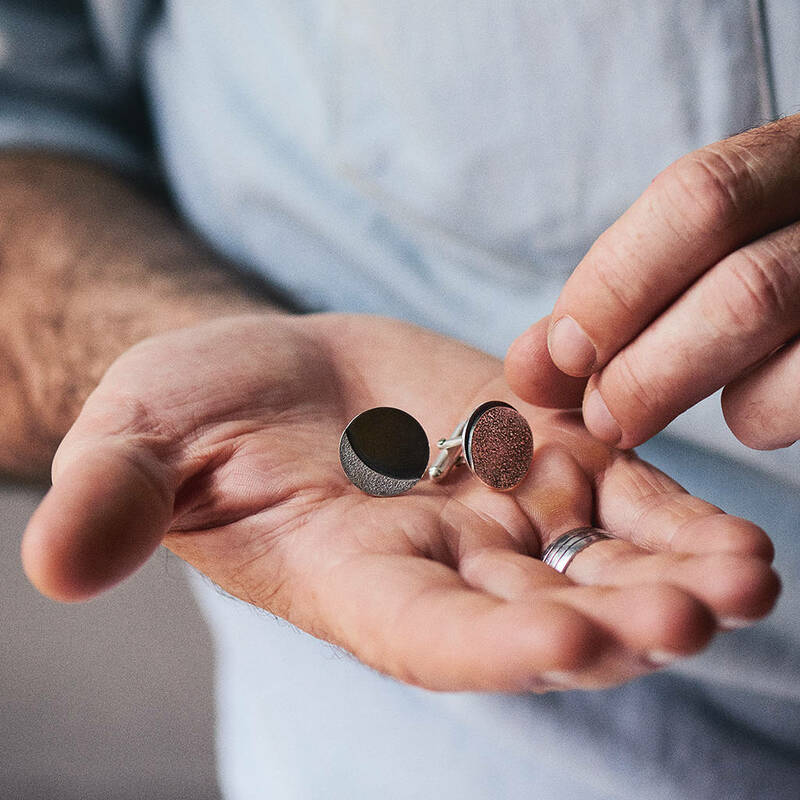 Add an extra special touch by choosing to engrave the back of your moonphase cufflinks. The maximum number of characters is 20. The date of the moon will not be engraved unless you include it in your text to be engraved. Each moon is made by hand and is therefore unique so the distribution of the surface texture will differ in small details from the ones shown here. 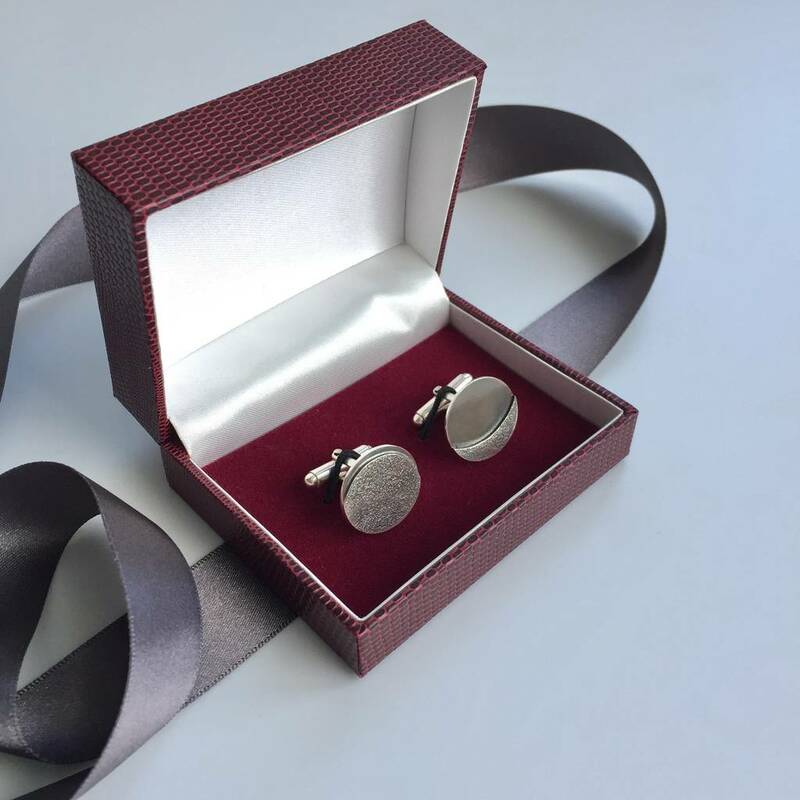 Each set of cufflinks is presented in a hinged box. This product is dispatched to you by Cari-Jane Hakes.